A retreat with St. Teresa of Avila and her lessons on prayer. For young women ages 17-29. Those attending will join the Sisters in praying the Divine Office, the Holy Sacrifice of the Mass, and recreation. The retreat will also include talks given by the Sisters, time for silence and private prayer, and the opportunity to share with other young women serious about growing in holiness. Also, future 2017 retreat dates include January 13-15, March 3-5, and May 25-28. "Come, Spouse of Christ, receive the crown which the Lord has prepared for you from all eternity..."
The Schoenstatt Sisters will be hosting an event for young women June 24 - 26, 2016: The BLOOM Conference. 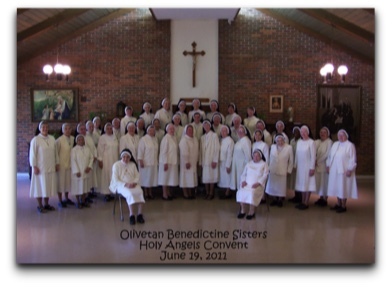 The cloistered Dominican nuns in Marbury, Alabama are holding a Vocation Retreat on the weekend of June 3 - 5, 2016 for young women age 16-27.
to Eucharistic Adoration and Perpetual Rosary. The retreat flier is here. for women aged 18 - 35 interested in discerning their vocation. Here is the link to the Mercy Sisters website. Here is the flier for the retreat. 'Tis the Season for vocation retreats! We have another to post. join our Come & See retreat! We have posted the information and registration form for the High School Come and See. Hope to see many young ladies!